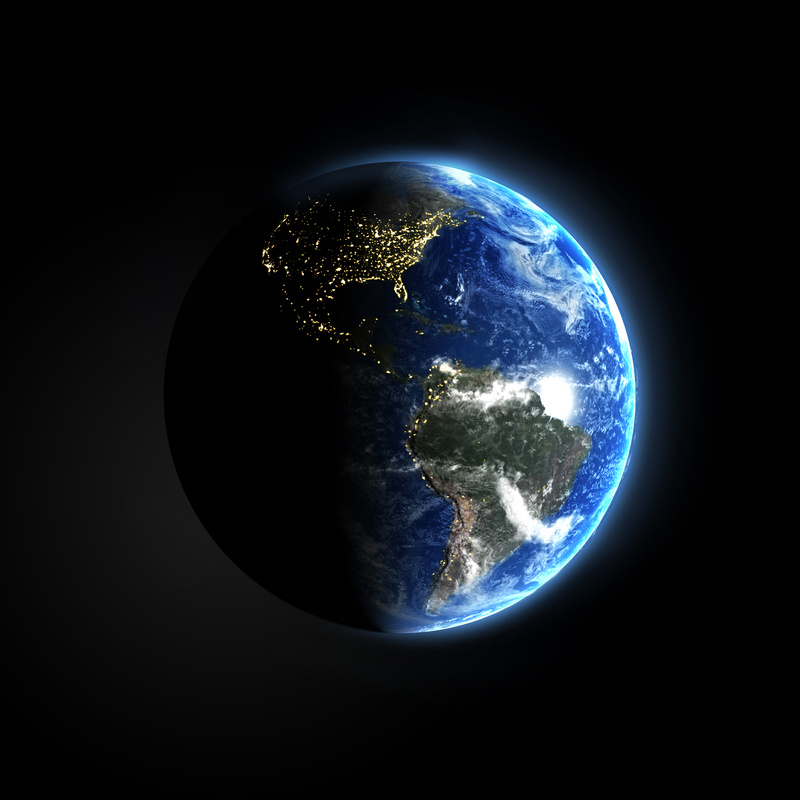 More energy from the Sun hits the Earth in one hour than humans use in an entire year. Making fuels from sunlight would store solar energy so it can be used on demand at any time of the day (or night). Why Make Fuels from Sunlight? Solar is by far the most abundant source of renewable energy available on Earth. However, the sun is an intermittent and variable resource at any given location on the Earth’s surface. Therefore, a reliable energy system based entirely on solar will require a way to store the energy captured from sunlight so that it will be available upon demand, at any time of day or year. The chemical bonds found in fuels are the most dense way to store energy outside of an atomic nucleus. For example, the energy density of gasoline is 60 times that of the best battery. In other words, 60 tons of batteries would be needed to store the energy of 1 ton of gasoline. Airplanes, ships, and heavy-duty trucks cannot run on batteries alone and require energy-dense fuels. Provide an abundant source of the liquid fuels that are needed to power heavy-duty trucks, ships, and aircraft. Together these vehicles currently use ~40% of transportation fuels globally, and demand will grow further as global commerce expands especially in developing nations. Unlike automobiles, these vehicles cannot run on batteries alone. What is Solar Fuels Technology? Solar fuels technologies are developmental systems that use robust, cheap, and highly efficient components to produce fuels that can readily be used in our existing energy infrastructure. Solar fuels technologies use sunlight, water, carbon dioxide, and nitrogen from the air to produce fuels. Solar fuels are sustainable and produce no net emissions of carbon dioxide. Solar fuels technologies are analogous to natural photosynthesis – plants make fuels (biomass) from sunlight. However, the fastest growing crops store <1% of the sunlight they receive as biomass. In order to be compatible with our energy infrastructure, the primary biomass made by plants – lignocelluose – must be converted into ethanol, biodiesel, or gasoline. This conversion requires energy and labor. Converting crops to fuels raises significant land-use concerns, specifically with regard to trading food for fuel. We could make a fuel – hydrogen gas – from sunlight simply by pumping electricity from solar panels into water. This process is called water electrolysis, and making solar fuels this way would use two proven technologies: solar panels and electrolyzers. Although mature, both of these technologies remain expensive, and the hydrogen that would be produced this way would be prohibitively costly when compared to hydrogen as it is currently produced at large scale from natural gas. Furthermore, commercial electrolyzers typically use precious metal catalysts (e.g., platinum and iridium), which imposes a barrier to scaling this technology globally. What Fuels Can Be Made From Sunlight? The Lewis Group leads the development of solar fuels technologies that produce hydrogen gas directly from sunlight and water. Carbon-containing fuels such as natural gas (methane) or liquid fuels such as methanol or ethanol might be produced from sunlight, water, and carbon dioxide. Ammonia for use as fertilizer in agriculture can be made indirectly from solar hydrogen or directly as a solar fuel from sunlight, water, and nitrogen in the air. Fuels can be readily interconverted using well-known processes. Solar fuels would provide the same quality and quantity of energy services that end-users are used to, without a massive change in infrastructure, and hence would produce “drop-in” fuels that could serve critical sectors of the energy economy both in the developed and developing world. The feedstocks for solar fuels are abundant: sunlight, water, carbon dioxide, and nitrogen from the air. Solar fuels are sustainable and produce no net carbon dioxide emissions. Are Solar Fuels Technologies Ready for Commercialization? Solar fuels technologies are developmental systems that are not yet ready for commercialization. Although a number of prototypes have been demonstrated, they can’t compete with existing energy technologies, and can’t provide the long-term (20 years) stability that would be needed. What are the Key Hurdles? Cost competitiveness – Using current technologies, hydrogen made from sunlight would cost about ten times more than hydrogen made from fossil fuels. The high cost of solar fuels is primarily driven by costs such as labor, wiring, equipment, and materials for mounting solar panels. Materials discovery and system design – Because fuels made from sunlight using current technologies would cost so much more than fossil fuels, radically new materials and system designs, that can be installed simply and at low costs are needed. 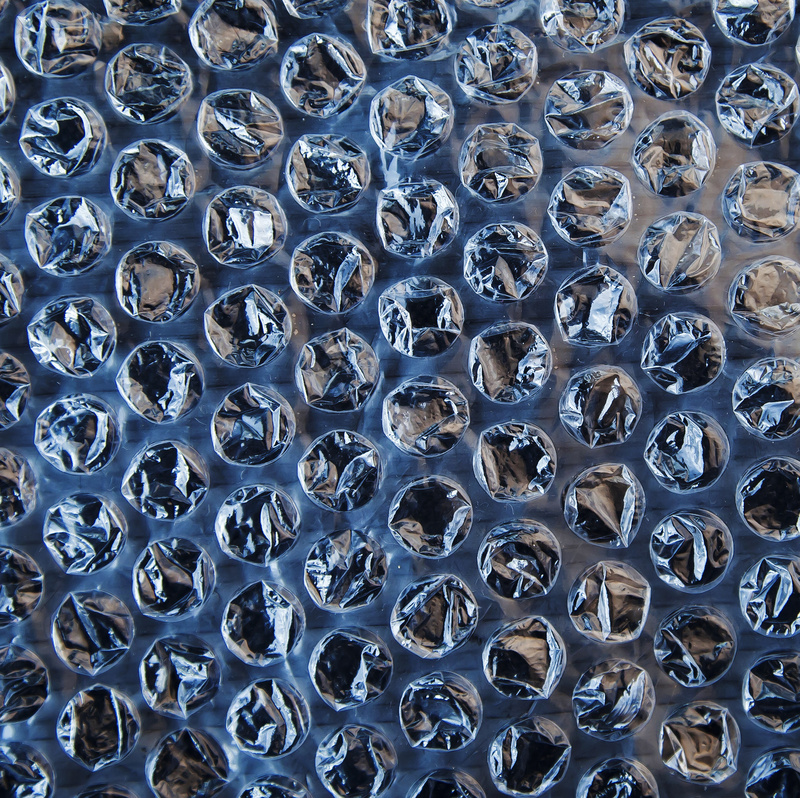 One radically new design for a solar fuels technology looks like bubble wrap, so it would be easy (and cheap) to make and install. Several approaches are being pursued to construct a demonstration solar fuels system. In one approach, the molecular components of natural photosynthesis, such as chlorophylls, are synthesized and modified chemically to attempt to construct a complete, functional photosynthetic system in the absence of a living organism such as a plant or photosynthetic bacteria or algae. In another approach, inorganic molecules, such as transition metal complexes, are used instead of chlorophylls as the light absorbers, and these complexes are either coupled chemically to biological catalysts or are coupled to inorganic catalysts, such as metallic colloids or particles to generate solar fuels. In yet another approach, metal dyes are bonded to titania films to absorb light, and the dyes are also chemically coupled to transition metal catalysts to produce solar fuels. Inorganic semiconductors, similar to the ones used in solar panels, can also be used either indirectly to produce electricity in conjunction with catalysts for solar fuels production, or can be used as photoelectrodes to directly produce fuels from sunlight. All of the approaches have their own advantages and challenges both from a technical and cost perspective, requiring further materials discovery and research to address. The Lewis Group, along with our partners and other scientists and organizations, is pursuing radically new designs that would make fuels from sunlight at a fraction of the cost of the best solar fuels technologies (solar panels and electrolyzers) currently available. The key idea behind the new designs is combining the functions of solar panels and electrolyzers – conversion of light to electricity, followed by conversion of electricity to hydrogen – into a single, one-step process that would produce fuels directly from sunlight, resulting in simpler systems with low installation and materials costs, and therefore much lower costs for solar fuels. However, reaching low enough costs by combining these functions requires intimate contact between the materials that convert light to electricity (semiconductors) with the strongly corrosive environment needed for an efficient electrolyzer. This causes semiconductors to corrode rapidly and to stop working. To address this problem, the Lewis Group is looking for new or non-traditional semiconductors that are stable in corrosive environments and is developing protective coatings that prevent the corrosion of semiconductors. 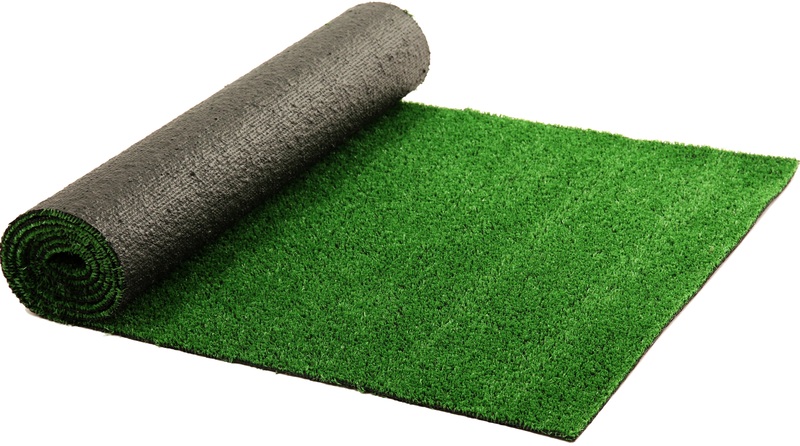 A radically new design for a solar fuels technology might be analogous to artificial turf that can be rolled out and inexpensive to make and install. Common forms of commercial electrolyzers depend on expensive and scarce elements – platinum and iridium – to catalyze chemical reactions. The Lewis Group is discovering inexpensive materials – made from elements plentiful on Earth such as nickel, cobalt, and phosphorous – to replace these catalysts without reducing efficiency. Additionally, scientists don’t yet know how to produce carbon-containing fuels – such as natural gas (methane) or liquid fuels (methanol or ethanol) – efficiently from carbon dioxide and water in a solar fuels technology. The Lewis Group is discovering new catalysts to enable the generation of carbon-containing fuels. These challenges are at the frontiers of solar fuels research: discovering new light absorbers to enable efficient, cheap, stable operation; discovering new catalysts to replace expensive materials that seamlessly mate with the light absorbers; discovering suitable membranes to provide for safe operation and to separate the products without introducing an explosion hazard; and insuring that all of the components are mutually compatible and function under the same operating conditions to form a complete system for solar fuels production. High-throughput experimentation, directed materials discovery, advanced computation and theory, and modeling and simulation tools at the system level are key ingredients in a broad solar fuels research program. Where Can I Get More Information About Making Fuels from Sunlight? Check out the Lewis Group Solar Fuels Research page. Check out Who Makes Fuels from Sunlight. Check out Solar to Fuels Conversion Technologies, an MIT Future of Solar Energy Study working paper. 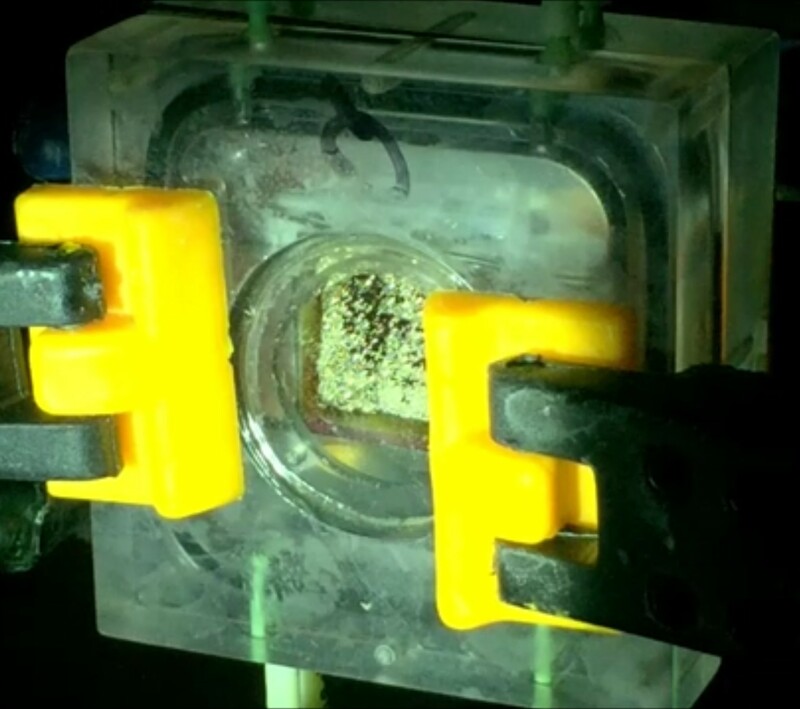 Check out the Liquid Sunlight news feature by Katherine Bourzac in the Proceedings of the National Academy of Sciences of the United States of America. by Kimberly Papadantonakis and Nate Lewis, June 2016.